Will You Accept This Virginia Rosé? Summer is here and that means it is the official start of rosé season. This light and crisp wine pairs perfectly with salads, summer pasta dishes and seafood. 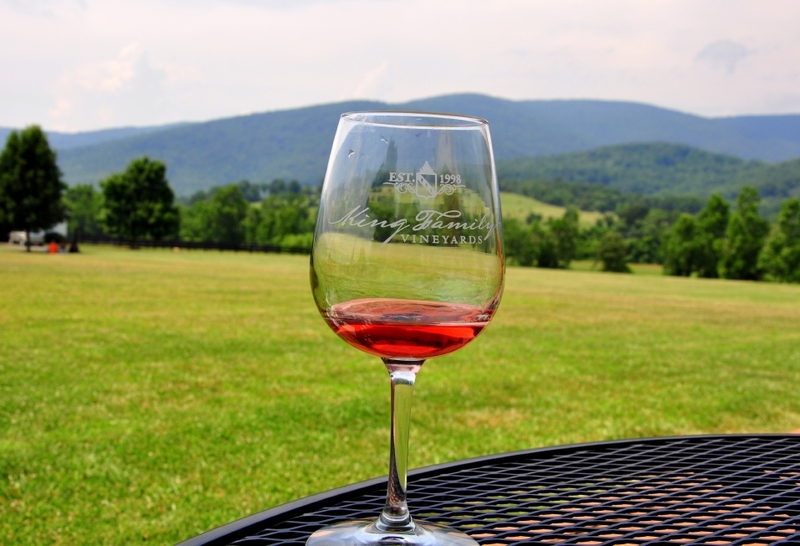 Rosé wines also pair well with Virginia’s spectacular landscapes and picturesque vineyards. Uncork some of these wines and rosé all day in VA! Looking for a variety of rosé wines? Breaux Vineyards offers four different rosés. From light blush to vibrant fuchsia, Breaux Vineyards even has a rosé named Breauxmance. 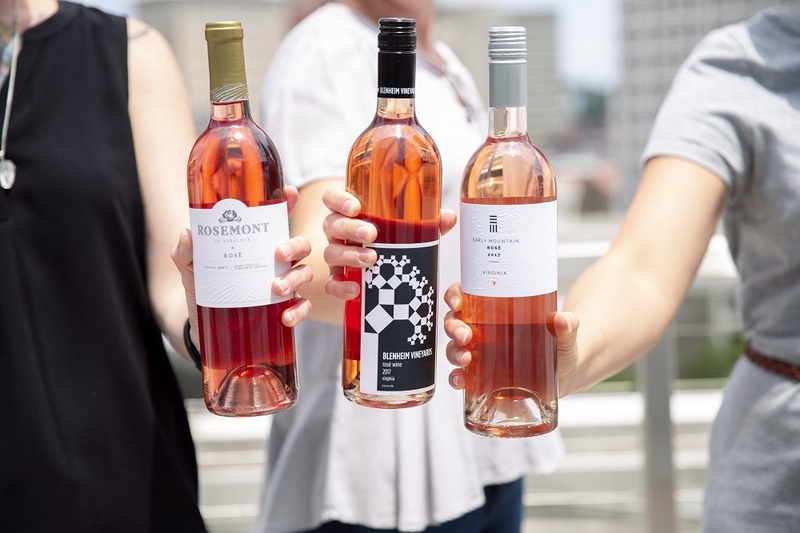 In 2017, Early Mountain Vineyards’ rosé was named by Garden and Gun as the “rosé you’ll want to drink all summer long.” Described as “mouth watering and dry,” this rosé has a very pale salmon color. Some might say another great pairing that goes well with any kind of wine is our four-legged friends. Check out Vin Gris, a fresh vintage rosé from The Chateau Morrisette Winery. For all the dog lovers, you may buy it just the label on the bottle! Barboursville Vineyards offers a “vivacious and classic Old World rosé” named Allegrante. The name comes from a highly-prized and beautiful thoroughbred that former Sen. Henry Clay acquired from former Gov. James Barbour in 1835. Gov. Barbour is the former owner of the Barboursville estate. King Family Vineyards’ Crozet Rosé is a polo fan favorite. 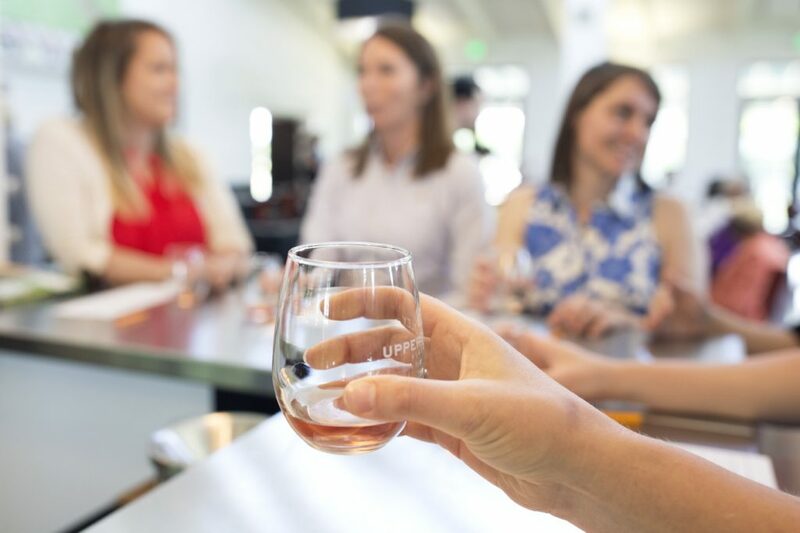 Sip this dry rosé fieldside every Sunday from Memorial Day weekend through early October at Roseland Polo in Crozet. There’s nothing quite like having a glass of wine on a beautiful veranda with a breathtaking view. That is just how you’ll enjoy your Pippin Hill Farm and Vineyards’ rosé when you visit. Veritas Vineyard & Winery considers their rosé to be the color of “pomelo.” When sipping a glass of this rosé take notice of the floral grapefruit aroma. 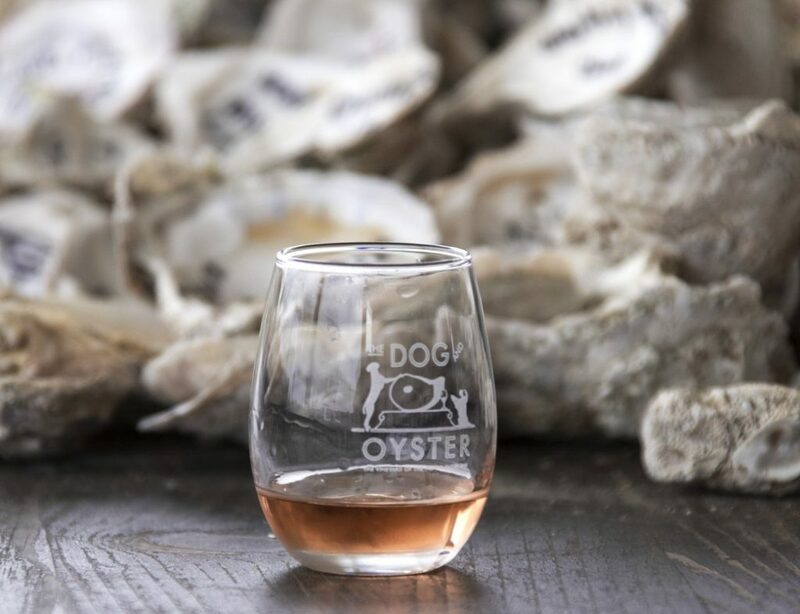 Sip and slurp at The Dog and Oyster winery on the Chesapeake Bay. Grab a glass of Rosie and pair it with raw or roasted oysters served up at the vineyard. Enjoy Church Creek Rosé all year long. Chatham Vineyards even suggests to pour this wine over fresh fruit with whipped cream or vanilla ice cream. Yum! 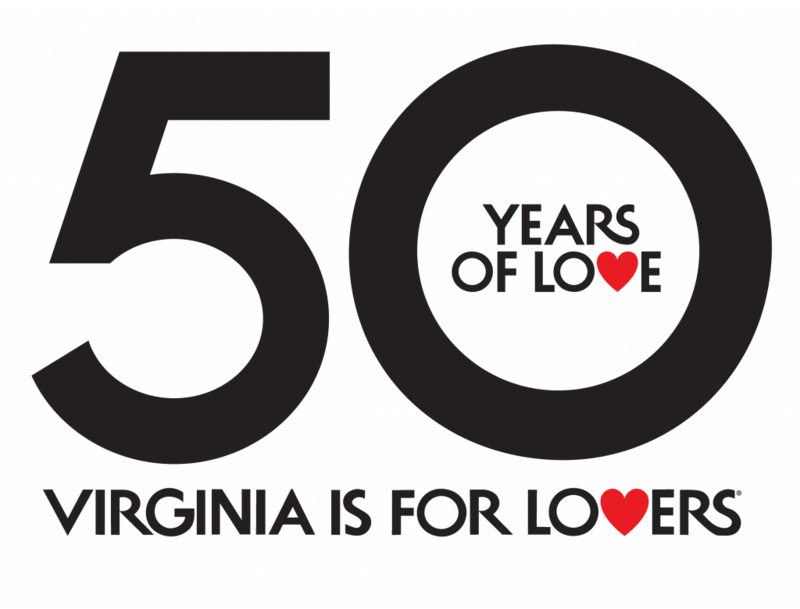 Mountainrose Vineyards offers the only Virginian wines made from grapes grown on land formerly mined for coal. Abundant in minerals, the soil gives their Darby Blush wine beautiful rich color and intense fruity flavor and aroma. Maybe you’re looking for a little fizz. Upper Shirley Vineyards offers both a regular rosé and a sparkling rosé. 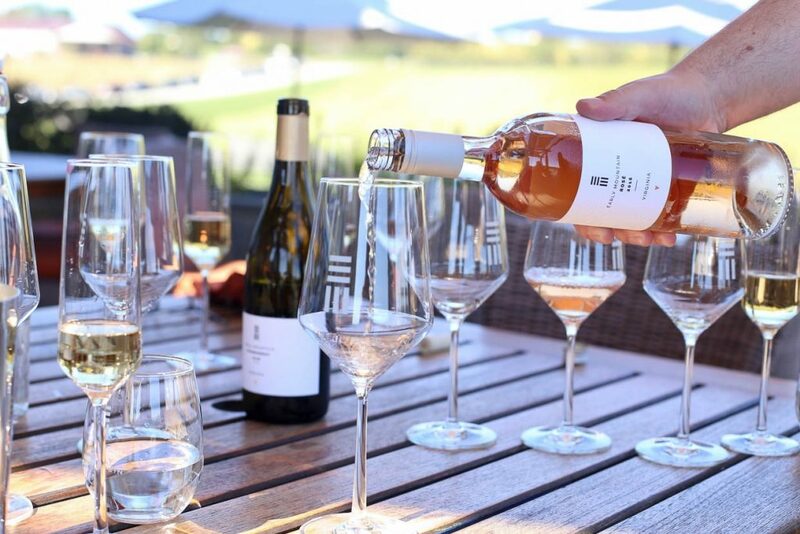 Blenheim Vineyards’ rosé bursts onto the wine scene with an aromatic bouquet of grapefruit, green strawberry and apricot. It goes without saying, you should pair this wine with your favorite Dave’s Matthew’s song. Sometimes you just want something a little sweet. If so, check out CrossKeys Vineyards and Winery’s Fiore rosé. It’s crisp and slightly sweet. 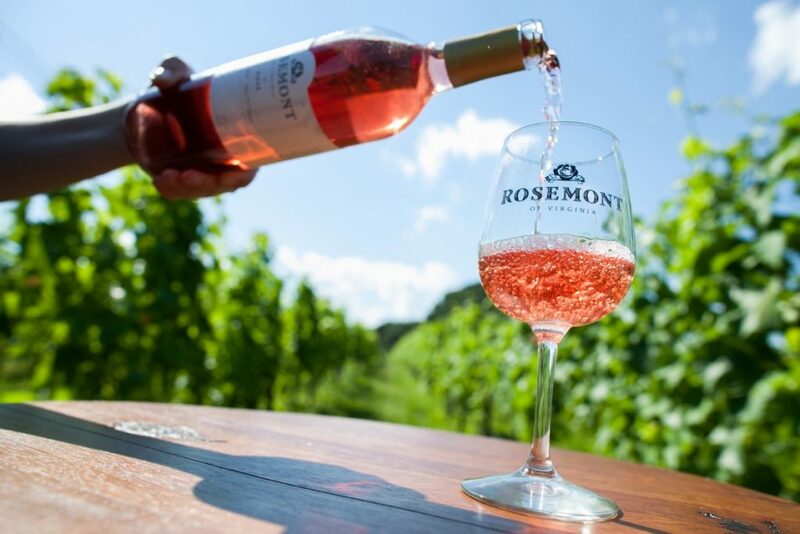 Rosemont Vineyards and Winery’s 2017 rosé is bright and fresh. This wine will pair beautifully with the roses you pick from your garden this summer.